The premise of this novel hooked me right off the bat. I LOVE novels that fall into this genre because they are always so fast paced that I find myself sucked in from page one, and oftentimes lose sleep trying to finish. Unfortunately, that was not the case for The Tenth Circle. The story rarely seemed to move forward, choosing instead to fill chapters with "back-story" that took away from the overall plot instead of adding to it. The author also seemed to love ending chapters on what would have been a "cliff-hanger" which would have been awesome, if he didn't wait so long to reveal what had happened/been seen. By the time it was revealed, I had forgotten what had lead up to it to begin with. With many of the scenes completely unbelievable, it was hard to take most of this book seriously. In fact, I found myself rolling my eyes several times thinking to myself "yeah right" as I tried to get through all 100 chapters. Instead of the page gripping two days I expected to finish this book in, it was closer to a week of "must finish this for my review". This is one of the few books I would NOT recommend. 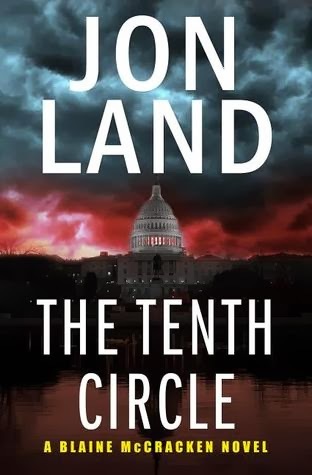 DISCLAIMER: I received a complimentary copy of The Tenth Circle in return for my honest review. This does not in any way reflect upon my review. All thoughts/opinions of this novel are 100% my own.